Valentine's Day can get a little hectic, and by hectic I mean sometimes two hour waits at restaurants (I'm not talking just fancy-schmancy here). Because of that, the hubby and I always make different plans. Maybe we'll go out on a date a few days before or after Valentine's Day, but for the night of, we always, always do something different, which generally includes an at-home date night. We're generally a dinner and movie type of couple (especially when it comes to date night at the house! ), so we're into streaming a movie online and preparing a dinner together. Keep reading for my recommendations on what to do to have an amazing date night without leaving the house, including a delicious recipe! Whether you have a back deck or just a backyard, pile up some blankets and eat dinner outside under the starlight. After dinner, lay back and stargaze together. Don't forget the citronella candles! Don't fancy yourself an al fresco dinner? Set up inside and get a movie going. You can cuddle on the couches, picnic on the floor, or even cozy up in bed with dinner. It's your date night - your rules! Whether you're into video games or board games, get one going! And don't forget to fill up on dinner first. Want a more active date night? Pull out the Nerf guns and go to town on each other! Once you're worn out, take dinner outside or pull up the couch. 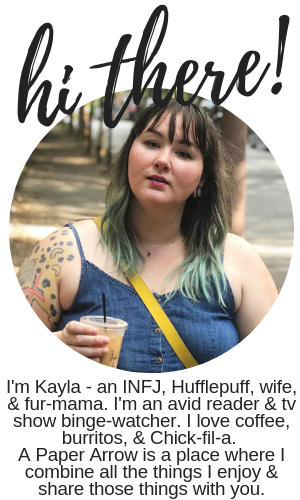 Upcoming plans (wedding, big vacation, etc.)? Have dinner over a planning session - work on budget, itineraries, or more. Who said planning has to be boring? Of course, you'll want a delicious homemade meal to accompany you during your at-home date night. Kroger has all the ingredients you need to make a wonderful protein-packed meal. 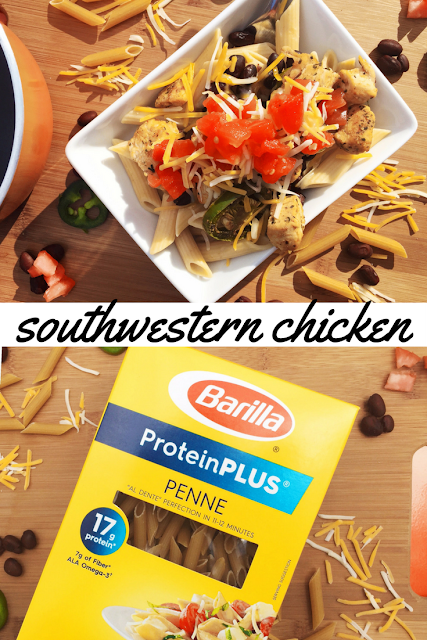 Southwestern chicken is a delicious and easy-to-make pasta dish with just the right amount of oomph. 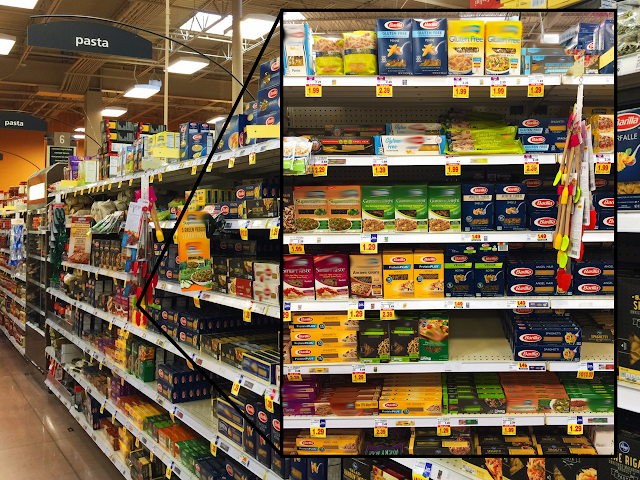 I chose to go with Barilla ProteinPLUSⓇ penne, which is always great tasting, high quality, simple, and wholesome. 1. Cook pasta, as directed. 2. While pasta is cooking, cut chicken breasts into one-inch chunks. 3. Toss chicken chunks into a bowl with olive oil, lime juice, cumin, paprika, chili powder, cilantro, jalapeno slices, salt and pepper. Mix well. 4. Add chicken mixture to a pan and cook at medium heat until evenly browned, stirring regularly, approximately 8-10 minutes. 5. Meanwhile, heat up black beans per instructions. 6. Once pasta (drained), chicken mixture, and beans are all cooked and ready, it's time to serve! 7. Add pasta to bowl. Top with black beans, chicken mixture, cheese, and tomato & chile salsa. How do you do date night? What are your favorite go-to recipes? For more recipe ideas from Barilla, make sure to check out this link. This sounds so good! Chuck and I love cooking together :) your pics are awesome! Thank you! I felt so proud of them. :) It's definitely a really yummy meal. I love the idea of southwestern flavor with pasta! I'll have to give this a try. It's definitely a great mix of flavors. I hope you enjoy it!